There were fewer Catholics in Australia in 2016 than in 2011, but they were more likely to have a higher education and more likely to have been born overseas than five years earlier. Source: ACBC. The National Centre for Pastoral Research (NCPR) yesterday released the Social Profile of the Catholic Community in Australia, based on information contained in the 2016 Census. Census data already released outlined the drop in the number of people identifying as Catholic from 5,439,267 in 2011 to 5,291,834 in 2016. As a proportion of the total Australian population, the Catholic percentage dropped from 25.3 per cent to 22.6. The Social Profile, however, offers a much deeper understanding of the Catholic population on a range of measures, including education, employment, income, birthplace, language and disability. “The drop in the number of Catholics is concerning, and the bishops are keen to understand what’s behind it and respond as positively as possible,” said Australian Catholic Bishops Conference president Archbishop Mark Coleridge. Archbishop Coleridge said the Social Profile is one of the key tools bishops use to understand the Catholic community and will be a help in planning for the Plenary Council. 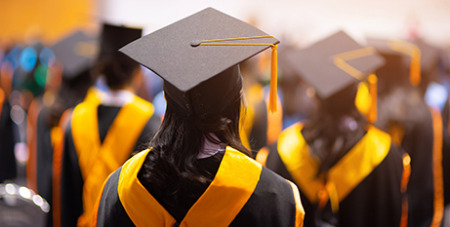 “We can see from the report that Catholics today are more than twice as likely to have a university degree than 20 years ago, which may show how Catholic schools have better equipped people for tertiary study in recent decades,” he said. “Catholics are also more likely to have been born in a non-English-speaking country than the average Australian and their median age of 40 is a couple of years older than the general population. They’re less likely to be unemployed and have slightly higher mortgage repayments than their peers. NCPR director Trudy Dantis said there was a change in the data collection process which might also explain some of the Census results. “From a statistical analysis perspective, the physical changes to the Census form – specifically, making ‘No Religion’ the first option on the religious affiliation question – may explain some of the changes in the Census,” Dr Dantis said.